Following the recent debacle surrounding the SimCity launch, video game developer Bungie have stated on their blog that the controversial requirement to be always online when playing won’t be a problem for Destiny when it launches next year. From the same creative minds that brought us the Halo franchise, Bungie lifted the curtain on their new intellectual property back in February, which has been billed as a persistent online shooter within a futuristic solar system. Destiny undoubtedly bodes a wealth of potential, but in establishing an always-online requirement in the game’s foundations, the developer has raised more questions than answers among its passionate fan base. Will the game encounter teething problems during launch a la SimCity and Diablo 3? And is it even possible to say with certainty that the game will be problem free from day one? If there’s anything to take away from the above statement, though, it’s that Bungie has a wealth of experience when it comes to handling high demand. In saying that, the infamous launch of Diablo 3 is proof that a veteran studio can botch the release of their game, no matter how confident they are. After all, Blizzard has maintained the online universe of World of Warcraft for over ten years, yet Diablo 3 still encountered a stream of problems during its launch window last year. Let’s just hope that some of Bungie’s best laid plans include boosting their server farms to deal with the expected demand. The fact that the game is still without a specific release date gives the American developer time to build the system from the ground up and to really put it through its paces during alpha and beta testing. What’s more, Destiny is launching on next-gen consoles and will take full advantage of the processing power offered by PS4 and the as yet unannounced next Xbox, which will surely alleviate some of the issues faced by Maxis and Blizzard in this generation. 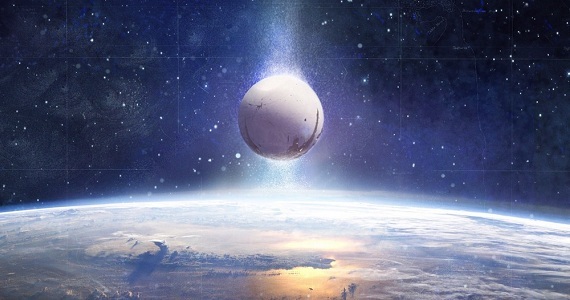 We can expect Destiny to be released at some stage in 2014. In addition, the company has also hinted that the game could become available on the WiiU and Playstation Vita alongside the confirmed next-gen consoles. It will also be released on PS3 and Xbox 360, too.